The AXION eyePOD™ is an easy to install faucet-mounted eyewash which is recommended for use by medical professionals. Included are industry standard adaptors that are compatible with most standard faucets. 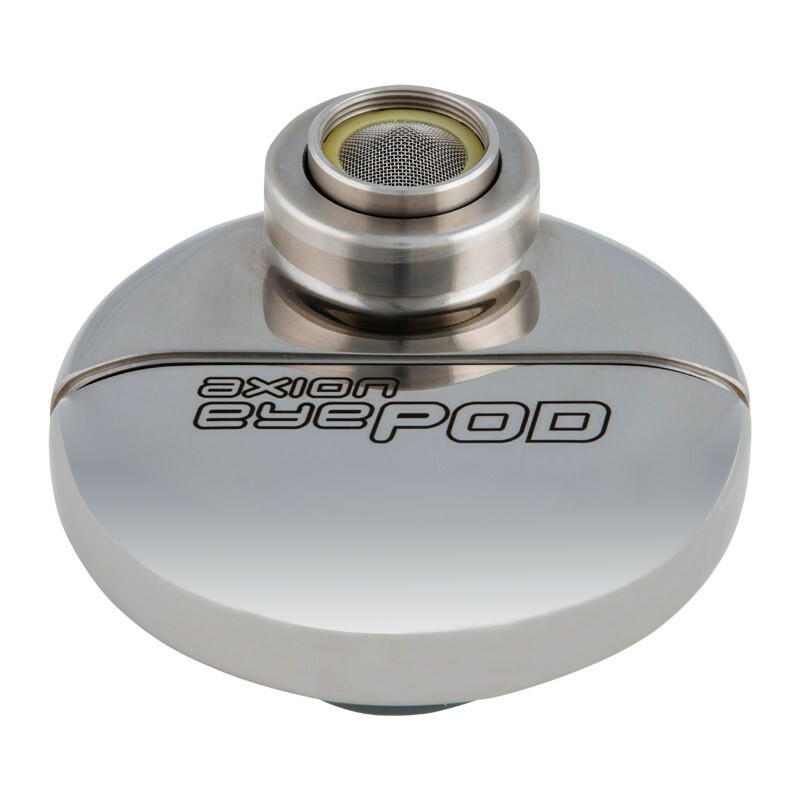 The eyePOD™ replaces the existing aerator from the faucet and is ready for use with the flick of a wrist. To use this eyewash the faucet must be turned on and the spout of the eyePOD™ needs to be turned upwards. The water will then flow for 15 minutes to cleanse the eye, which is a requirement that meets the ANSI Z358.1 standard for emergency eyewash and shower equipment. The Haws eyePOD™ eyewash station is recommended by medical professionals because of the way the water flushes the eye. It flushes the contaminants away from the inner corner of the eye so that they do not enter the lacrimal punctum and nasal cavity. This faucet eyewash also has an automatic shut-off when the water flows at temperatures above 100 degrees fahrenheit so there will be no accidental burning of the eyes. Once the flushing fluid returns to an appropriate degree, it will automatically begin to flow again. After use of the eyePOD™, the eyewash is flicked downwards and the faucet goes back to it's regular flow. When searching for a vendor, we were looking for a company that could provide us with recommendations for eyewash stations for our particular needs, competitive pricing and logistical support for distribution to each of our locations. Select Safety Sales has successfully fulfilled all of these requirements and we would highly recommend them to any company in the hotel industry and to any company that has a need for eyewash stations or any safety-related product.